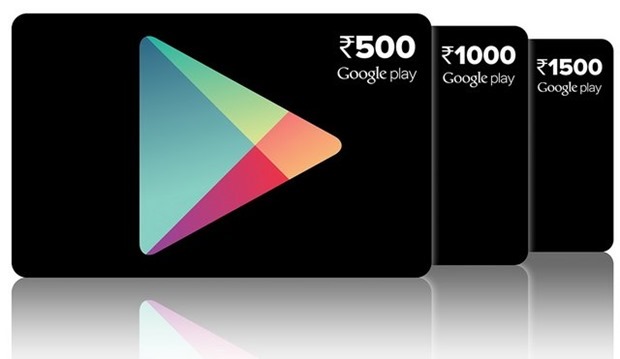 Google Play Prepaid Vouchers Can Now Be Bought Offline in India! Have you ever been frustrated by your inability to purchase anything from the Google Play just because you don’t own a credit card? Android users in India have long been demanding for alternate payment methods on Google Play since it doesn’t support payments via debit cards (from most banks) and internet banking accounts. Most of the Android users in India either don’t have a credit card or are too afraid to make online payments. So, an alternate payment method was desperately needed, and now Google has done just that. Google has launched prepaid vouchers for purchasing digital content on its app store. These vouchers will be available starting today across select outlets of Vijay Sales and Spice Hotspot in Delhi & NCR, Mumbai, Pune, Bengaluru, Hyderabad, Kolkata, and Jaipur. You can buy this voucher in the same way like you buy prepaid vouchers for your SIM connection. The payment for buying these vouchers can be done via any method of your choice including cash, debit cards, and credit cards. You can use the redemption code mentioned on the voucher for making payments for any of your items on Google Play. The list of items that will accept payments via a redemption code includes but is not limited to just e-books, movie rentals, apps and in-app purchases, and games. These vouchers will be available for a denomination of Rs. 500, Rs. 1,000 and Rs. 1,500. You can also use this redemption code for making payments via any media (web or app) on any device associated with your Google account and your purchase will be immediately reflected across your other devices (linked to same account) as well. If Google can somehow make it available in all cities and towns of the country and gives good incentive to the retailers for selling it, then there will be major boost in the revenue generated on Google Play. Another factor that will ramp up the sales of this voucher would be its price. Not everyone will buy apps for thousands of rupees from Google Play so Google should also launch some affordable vouchers with denominations of Rs. 65 ($1), Rs. 100, and Rs. 250. I would love to try these vouchers as soon as they are available at a shop near my place. And yes, I’m too lazy to visit the selected retail outlets just for purchasing these vouchers. I would love to see them listed on sites like Flipkart, Amazon and Snapdeal! "Google Play Prepaid Vouchers Can Now Be Bought Offline in India! ", 5 out of 5 based on 1 ratings.